Standing as San Diego’s premiere bi-annual event dedicated to all things house and techno, CRSSD continues to showcase its knack for bringing cutting-edge electronic music talent to Southern California. 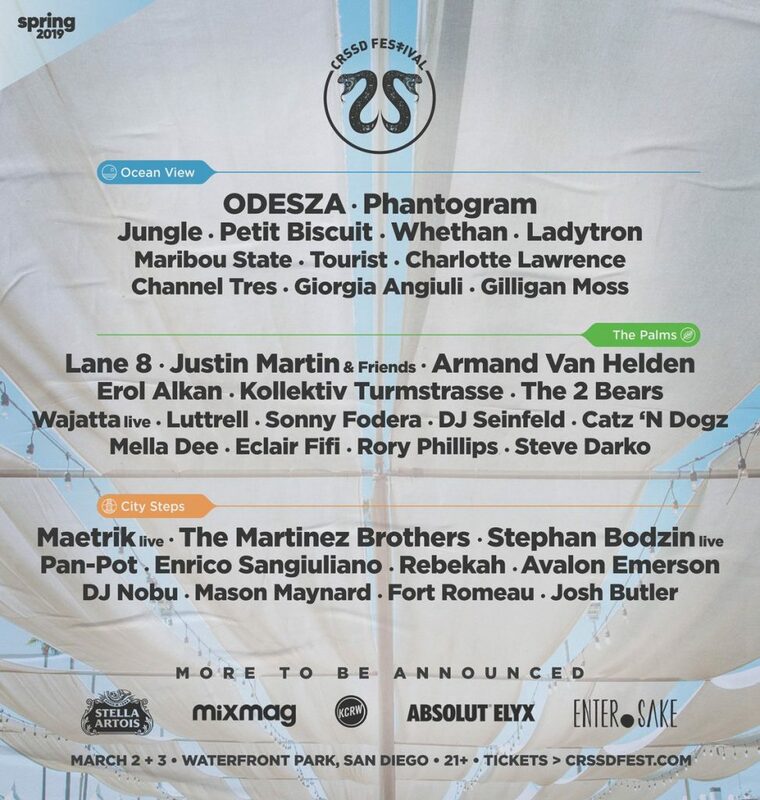 The festival returns to San Diego’s Waterfront Park March 2-3, 2019 with an impressive line-up of first-round talent. Heading up the festival’s three stages are ODESZA, Phantogram, Lane 8, Justin Martin & Friends, Armand Van Helden, The Marinex Brothers, and more. CRSSD has long been purely about the music over the need for big, fancy lights. With undercard talent in Petit Biscuit, Whethan, Sonny Fodera, Catz ‘N Dogz, and many more to arrive on phase two, attendees will be soaking in the festival’s natural beach vibes whilst listening to some top notch music. Tickets for CRSSD’s Spring Edition go on sale Tuesday, December 11 at 11 AM PT.